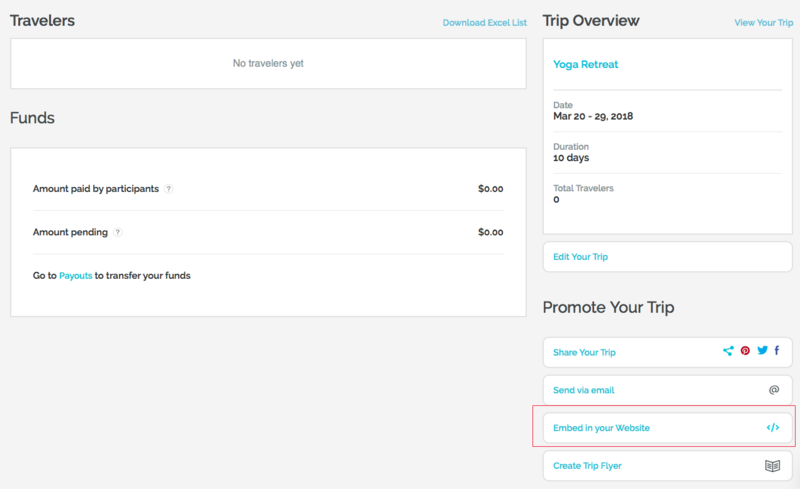 Wouldn’t it be nice to have an easy way to promote your WeTravel trip on your own website? 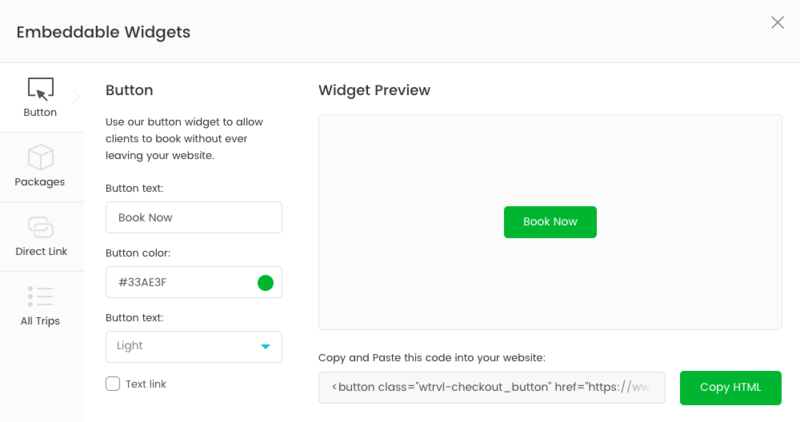 This tutorial will show you how to integrate your WeTravel trip directly into your Squarespace site, similarly to inserting a YouTube Video directly into your website. You can add different widgets – a Book Now button, pricing packages with real-time availability or an overview of all of your trips on WeTravel. 4) Click on ”Enter code”. 5) Paste the code you copied earlier and click ”Apply”. 6) Click ”Save” and it is done. You have now embedded your WeTravel trip into your website.